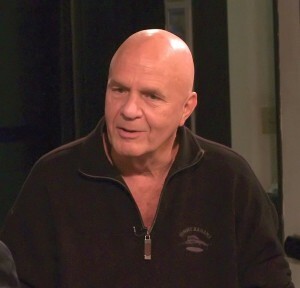 Was Wayne Dyer really a spiritual success? But despite his kind demeanor and positivism, and his award from Mind Body Spirit magazine as “the eighth most spiritually influential person in the world,” 2 from a Biblical point of view, he may have been an abysmal failure. Dyer, who grew up as an orphan, had a lot of valid reasons why he may have not turned out perfectly spiritual. In fact, many in his situation are often emotionally crippled and riddled with dark places in their souls. So it seems reasonable that he should have some faults under his finely groomed exterior. But if we hold him up as a leader, perhaps we should look beyond his positivism, public persona, gentleness, and publication numbers to evaluate his spiritual accomplishments. There’s no doubt he has been influential, especially if you count book sales and TV appearances, but is that success? What is in fact true success, Biblically, is the condition of our inner selves, our hearts. For example, when the Old Testament prophet Samuel was choosing Israel’s next King, God had him pass over the outwardly strong and handsome, choosing a small but courageous shepherd boy, David. Of course, we can not see or judge Dyer’s true inner state, whether it was primarily happy or depressed, loving or fearful, patient or angry. But we can observe his outer life to see if the fruits of spiritual virtue pervaded his life. Frankly, I would not want my children to be like Wayne Dyer, despite his apparent wisdom and gentleness (two admirable features, for sure) for at least these four great moral failures. Dyer had to fend off two major plagiarism accusations during his career, the first regarding his very first blockbuster book. One was an actual legal case, which was eventually dismissed. So legally, he was never really found guilty. But he certainly did like to borrow content from others. The most damning evidence of the failure of his spiritual schema is the fact that he was thrice married, and separated from his third wife. How can a man consider himself spiritually successful if, in personal relationships, he has repeatedly failed so miserably? It is possible to have failed in one marriage and still secure some semblance of maturity, but three? OK, even well known evangelicals are now on that bus, so I suppose this does not prove that Dyer is “not Christian” or immoral. But in my book, this is a categorical moral error. Dyer is perhaps another manifestation of those who emphasize only love, and go soft on specific, exclusivistic claims. 5 While I can appreciate the desire to not judge others, or tentatively and humbly hold to positions we can not definitively prove, Dyer’s lack of conviction on the saving power of the death and resurrection of Jesus make him, in a biblical view, at best, less than successful, and at worst, a false teacher. Dyer considered death an “illusion,” which we will only realize when our eternal souls pass to the other side. 6 This is diametrically opposed to what the Apostle Paul taught about Jesus, the gospel, and overcoming death – death is real, and is a great enemy (1 Corinthians 15:26), the last enemy Jesus himself will destroy when He comes to usher in a Kingdom. Dyer was by many accounts a good man. He had a lot of wisdom plumbed from many traditions. But in the end, he could not sustain a marriage, and seems to have missed the unique claims of Jesus. I pity Him, and hope that in some way He did have saving faith. But he may not have.